The web news video show Huffington Post Rise recently profiled AdaptNY’s Harlem Heat Project in a two-and-a-half-minute video that features an interviews with participants from our community-based partner in the project. 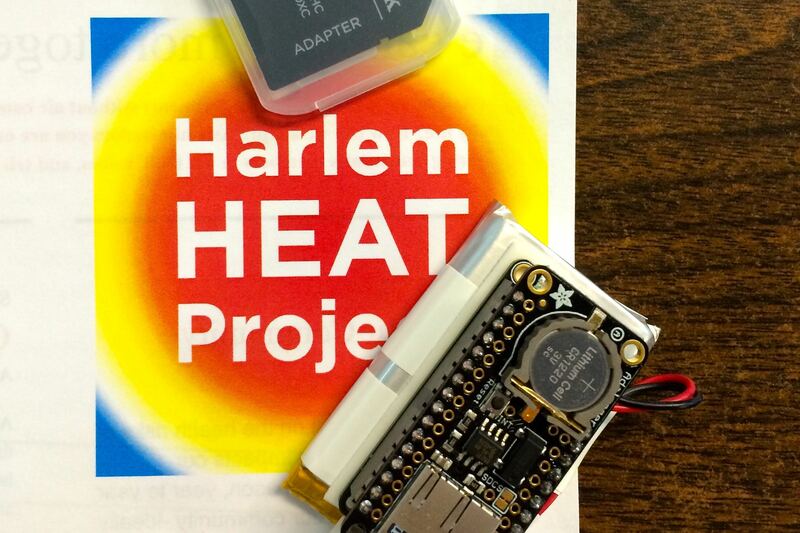 In the clip, West Harlem resident Shaun Williams, who hosts one of our heat index sensors in his home, shares his experience of high heat. Also, Huffington Post spoke with policy expert Aurash Kharwarzad of our partner WE ACT for Environmental Justice. Kharwarzad explains the urban heat island effect and its health impacts on city residents, as well as the workings of the sensor and our participatory research project, and possible solutions to the heat challenge. 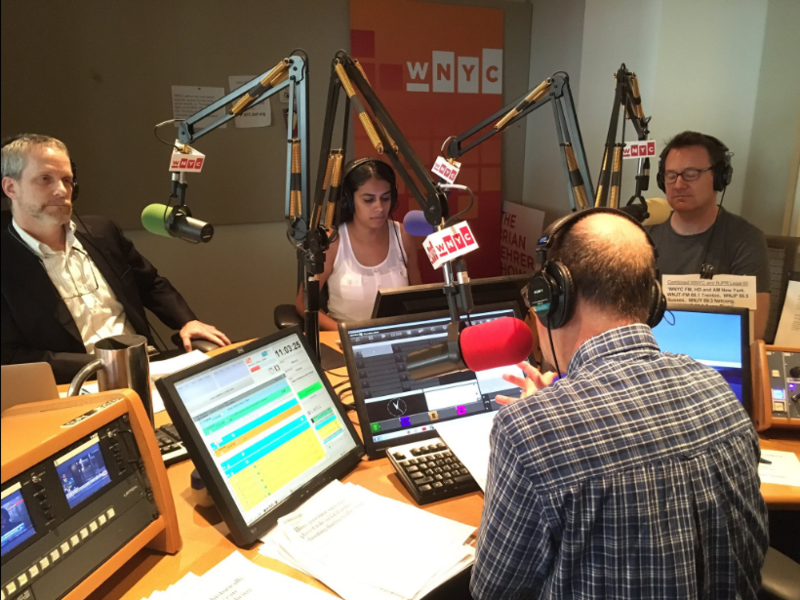 Harlem Heat Project partners stopped by WNYC’s Brian Lehrer Show on July 8, to discuss the news initiative and to stress that extreme heat is not just an inconvenience, but a serious public health issue that will be worsened by climate change. Vive L’AdaptNY – Our Roadshow in Quebec! The AdaptNY project got some great attention again this year at the biggest annual gathering of journalism educators, held in early August in the francophone city of Montreal. It was a year ago today that former New York Mayor Mike Bloomberg issued the city’s roadmap for how to adapt to the future risks of climate change – a massive post-Sandy report called A Stronger, More Resilient New York. To track relevant reporting and information through our social “front page” and Twitter. To document and report the story, including with a major investigative report in partnership with Gotham Gazette and ongoing collection of primary-source materials. One way we started this process a year ago was by working to analyze that 438-page Bloomberg resiliency report. With the aid of sister publication City Atlas, last summer we rolled out a series of summaries that we hoped would make it possible to quickly take in its most important findings and recommendations. But we didn’t stop there. We wanted to keep putting the city’s planning under close scrutiny so it could be better understood and improved upon. To do that, we asked your help and made it easy for you to weigh in with your views. With partner DocumentCloud, we developed an innovative way for you to make your own notes directly on the Bloomberg report. Here’s more about how our public annotation system works. It’s easy to share your thoughts – just go to the resilience plan, log in using one of your usual social networks and let everyone know what you think! We continue to develop new ways for you to take part in the conversation, and to let the current de Blasio administration hear your voice about this all-important issue. 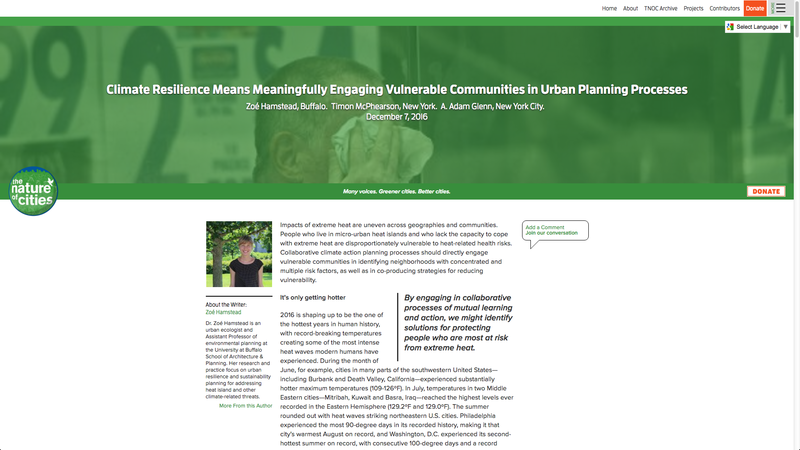 In the near future, for instance, we hope to introduce a new and improved version of our document annotation tool, as we continue to track reports and initiatives from City Hall, such as updates on the ailing Build It Back housing recovery program, or annual reports on resilience planning. Watch this space for more news. Make your voice heard on the climate adaptation debate. The future of our city depends on it. Design thinking, like that used in the AdaptNY workshop on Feb. 22, may be an unfamiliar term but the process behind it will be familiar to many journalists. It’s a series of steps that takes an idea to a fully realized product, kind of like taking a story from a pitch to a fully reported, finished piece. The process, as defined by Stanford University’s d.school, involves five steps: empathize, define, ideate, prototype and test. They have a handy guide, the Bootcamp Bootleg, that explains their approach to design thinking and offers helpful tools for each step. AdaptNY is partnering with the Online News Association and the Center for Community and Ethnic Media to offer an all-day workshop Feb. 22, aiming to use the innovative techniques of design thinking to help media and communities improve how they tell stories and share information about climate resilience. The workshop will get off the ground with a power panel of top-flight climate experts from the worlds of journalism, science, government and environmental advocacy, addressing the problems of adapting to the impacts of climate change and extreme weather. Then throughout the day, usability experts and coaches, including from pioneering media firm Digital First, will guide participants through a process of understanding what their users need, brainstorming solutions and sharing them for feedback from other workshop attendees. The conference is hosted by the CUNY Graduate School of Journalism in mid-town Manhattan, and the $10 registration fee will include meals and a closing happy hour.